Four members of our College made my Wabash experience transformational: Professor Bill Doemel H’74, Professor Hall Peebles H’63, David Broecker ’83, and Wabash trustee Steve Bowen ’68. Each provided me with important lessons on vital issues which shaped my time on campus, prepared me for the future and a life of learning—reflection, command,leadership and intellectual integrity. Professor Doemel: Reflection of purpose. Professor Peebles: Command of subject matter and command of audience. David Broecker: Leadership (quiet, unassuming, yet powerful). Together, at different stages of my life, I can virtually trace all of my success to these four gentlemen. Profound. But most of all, the bond of friendship. I finished my undergrad career at Wabash in 1965, majoring in Zoology and minoring in Botany. In those years there was a “tradition” of hiring a recent biology grad to serve as the lab prep guy for the General Biology course and I was invited to take that position. It seemed like a great opportunity and I was not clear about what I wanted to do with the rest of my life. In the 2 years that I was an “Instructor” I learned a lot about being a teacher and what was involved when I was on the other side of the classroom desk. I have named Willis Johnson and Tom Cole as specific examples of people who had an impact on my future, but the entire Biology faculty taught me a lot about what it meant to be a professor. I recognized that I would have to get a PhD if I wanted to enter into, survive and thrive in a life in academia. 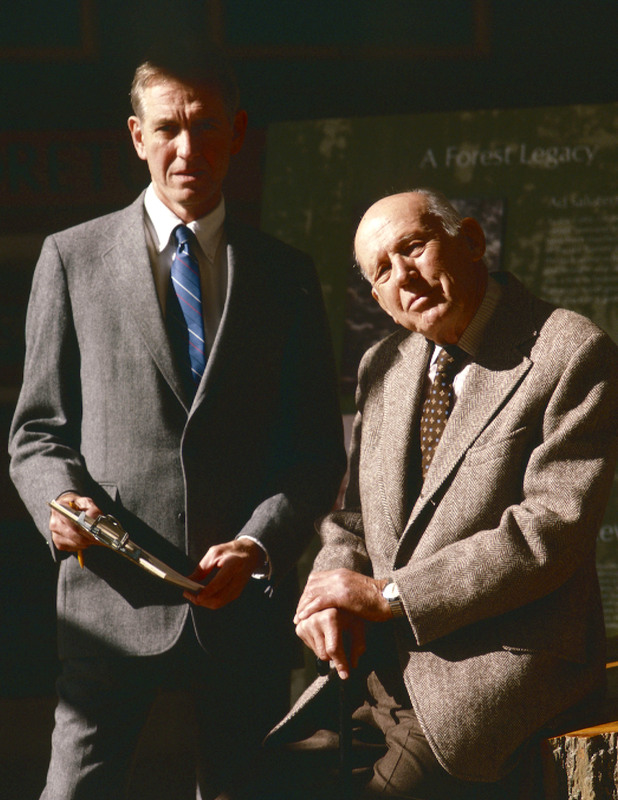 Professor Johnson had earned his PhD at Stanford and he urged me to apply for the Ph.D. program there. I am certain that his “connections” played a role in my being accepted into the program there. I entered the Ph.D. program in Fall 1967 and completed degree work in 1973. I spent thee years as a postdoctoral researcher at the University of Colorado and in February 1976 was hired as an Assistant Professor in the Pomology Department (that’s the “Fruits and Nuts” Department) at the Davis campus of the University of California (UCD). I retired in July 2014. Although “officially” retired I still teach and lead a research program. I owe a great deal to my teachers (then colleagues) in the Wabash College Biology program because the opportunity that I was offered in 1965 led to a career that has taught me a lot as I have been teaching and working with UCD students for more than four decades. 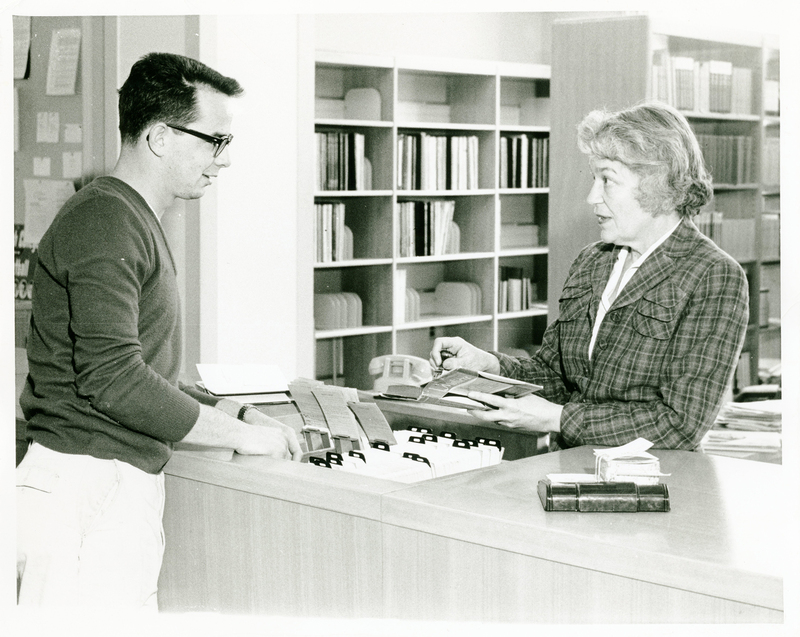 My senior year I worked for Mrs. Estelle Cummings at the circulation desk and we had a few slow times when we could talk about general topics. I was the first in my family to go to college and I was lost and confused most of the time at Wabash, and those talks helped. I did, and a feckless college student was transformed, put on the path of a lifetime full of challenge, joy, and service. Thank you, Professors Butch Shearer and Owen Duston, Dean Norman Moore, and so many others who taught me so much. But it was my labor supervisor, Mrs. Estelle Kummings, who gave me my professional and personal life focus. Jesse Caldwell, Patrick Embree III, and Taylor KenyonWhen I decided that Wabash College was the place for me, I left behind everyone I knew. I forced myself to come out of my shell. Luckily, one of the very first people I met was Patrick Embree III ’15. When I decided that Wabash College was the place for me, I left behind everyone I knew. I forced myself to come out of my shell. Luckily, one of the very first people I met was Patrick Embree III ’15. Patrick and I were roommates all four years. He laughed at my jokes, we played the same Xbox games, and we could tolerate each other’s annoying habits (I was a neat freak; he was not). Perhaps the most significant moment for me at Wabash came during our sophomore year, when my dog died and I was going through a bad breakup, all within a few weeks of each other. My grades were spiraling, my motivation to do anything was gone. Patrick guided me through these tough times. Thanks to him, I was able to continue on as a Little Giant. Our jobs prevent us from seeing each other as much as we would like, but our friendship remains just as strong today as it did when we graduated in 2015. We talk most days and continue to have fun playing Xbox. He doesn’t know it yet, but I will be asking him to be the best man in my wedding. I am thankful that I took a leap of faith by attending Wabash College. I was able to meet my best friend and a man I consider my brother. 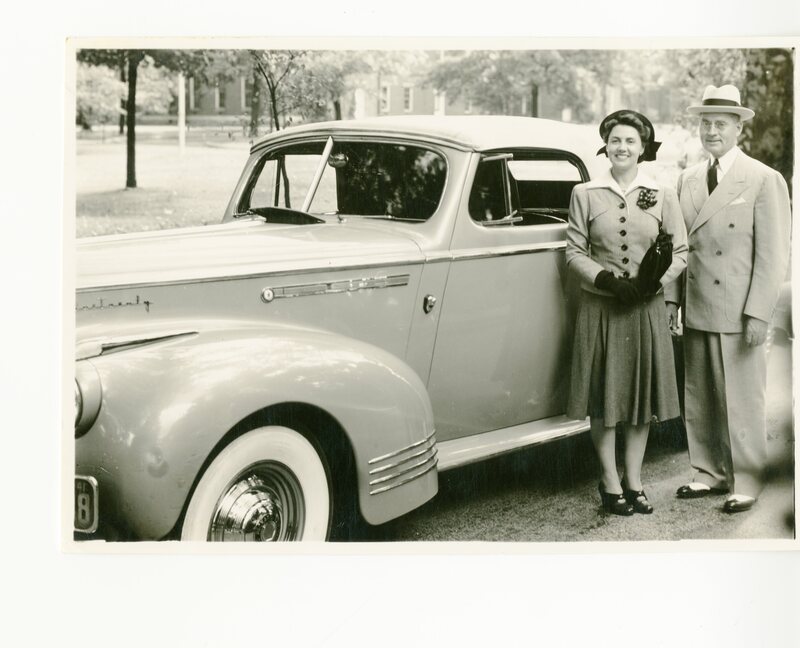 I was fortunate to be a driver for Dr. Frank H. Sparks from 1954 to 1956, the last three years of his presidency. It was a significant part of my education at Wabash. 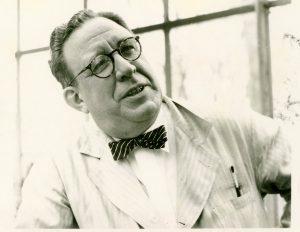 At that time, Dr. Sparks was calling on Indiana businesses, soliciting corporate support for colleges and universities like Wabash. 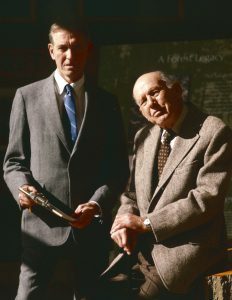 In 1962, I was in management at a Cleveland bank and read in the newspaper that Dr. Sparks was in town with John D. Rockefeller IV for a press conference eegarding the Council for Higher Education. I went to the Union Club and sent in my business card. Almost immediately, he came out through closed doors and greeted me warmly. He had temporarily halted the press conference to do that. He was a great man and I’m so grateful for his influence on me. I cannot think of Wabash without thinking of Coach Rob Johnson H’77. He is always the first person that I look for when arriving on campus. If he is not there, my visit to the College seems incomplete. I find myself driving past his house to see if his car is out back. If it’s there, I stop by. I first met Coach when I was a senior in high school and attended a “W Night” at a hotel in my hometown of Merrillville with my father. Coach spoke highly of Wabash, the young men he coached, and how successful many of them had become after graduating from Wabash. 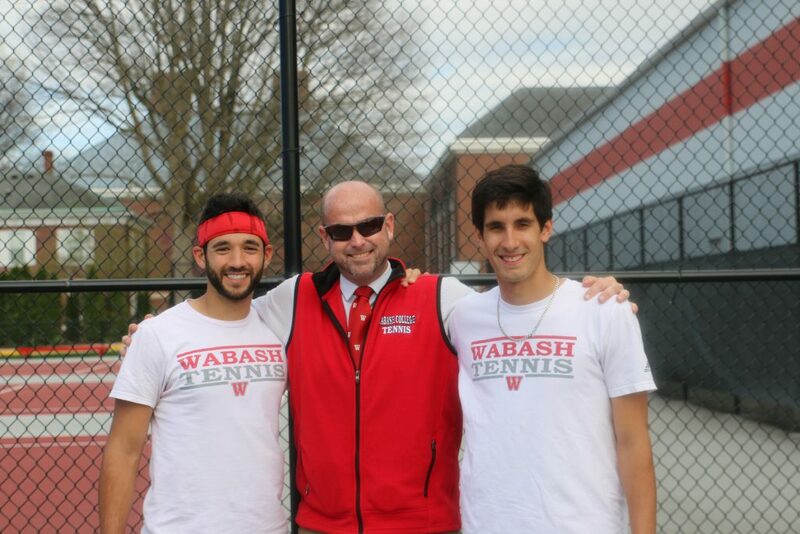 I was convinced that I wanted to attend Wabash, but Coach talked about wanting “warriors” on his team. He challenged me, wondering aloud if I would be tough enough to run for him at Wabash. That challenge drew me immediately closer to him; now had something to prove. That challenge turned into a 25-plus year relationship in which I went from recruit to student to captain, to graduate, to alum, to friend. Today it’s more like father and son. Coach has this type of relationship with many of his former runners. We would all run through a wall for him. Coach always puts us first. Conversations always begin with, “How is your family?” Coach was always more concerned with how “you” and your family were doing versus how fast you were running. 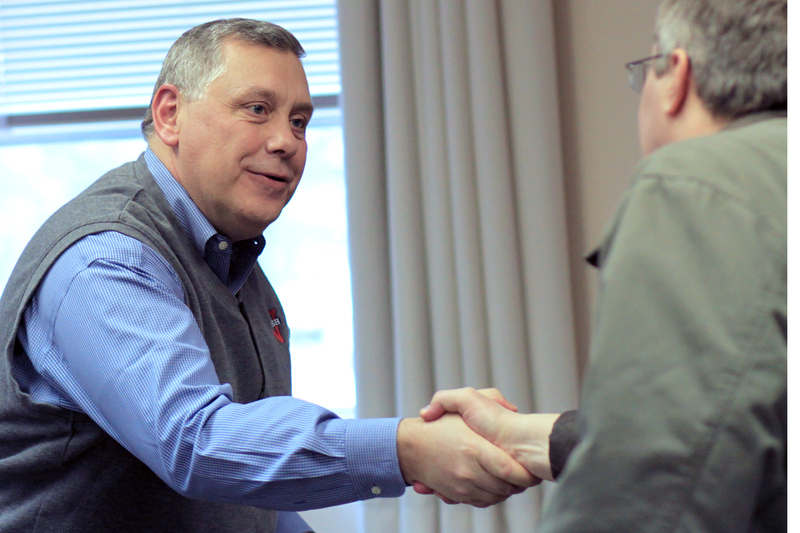 His singular ability to build relationships through his deep concern makes him the role model of what true Wabash relationships are all about. I believe many of us learned from Coach Johnson how to put others first. That has led to friendships with our former teammates, classmates, and even other alums who may be several years older or younger. This is a big part of why Wabash is Wabash. Dr. Chris Carr ’82 has been an extremely important influence in my life both personally and professionally. 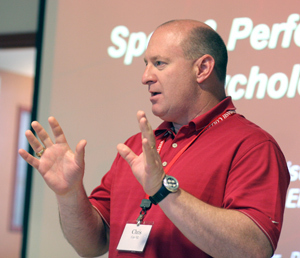 Early in my time at Wabash, I thought that sport psychology might be something that I would like to pursue as a career. Not a month later, Dr. Carr came to talk with our football team about exactly that. Since then, Dr. Carr has served as a mentor for me to prepare me to achieve my dreams of becoming a sport psychologist. Having completed a double-master’s program in Counseling and Sport & Exercise Psychology, I currently am pursuing my PhD in Counseling Psychology with a focus in Sport Psychology at the University of North Texas. This path has been guided by Dr. Carr and has allowed me to grow as a researcher, clinician, and person. I am honored to call him a mentor and colleague, but more importantly a friend. Wabash’s community is why I went there and my favorite part about it now. 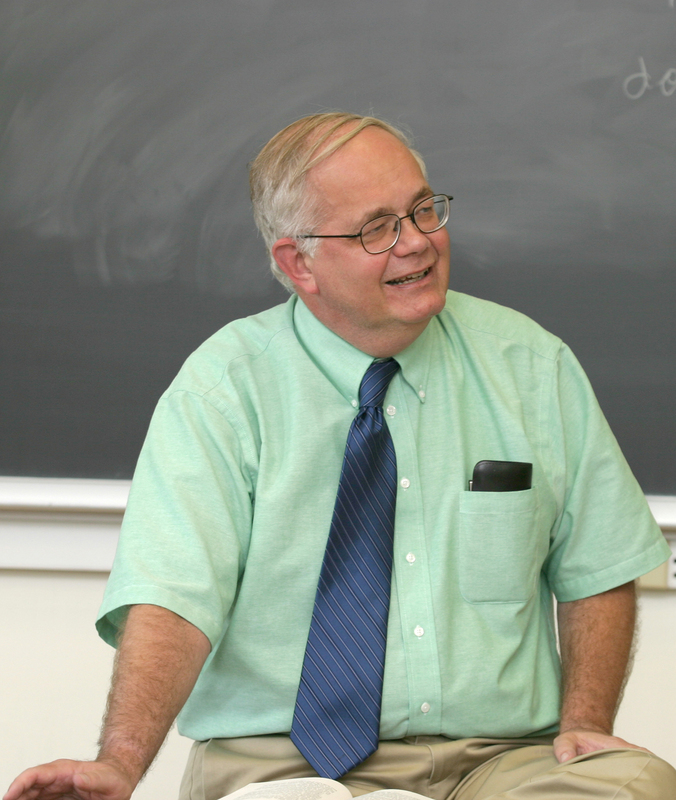 Professor Bill Placher ’70 had a way of processing questions from students that was unique and hard to forget. If he got a bad question that could be obliterated, or a good one which gave him pause, he would press his back up against the blackboard, leaning away and towards it slowly like he was at the wailing wall, but facing the wrong direction. Then he would moan, “WELLLLLLLLLLLL” and proceed to target the question’s pith like a nephrologist uses sonic waves to destroy a kidney stone. My classmates and I have never forgotten this and the teetering Placher “WELLLLL” remains a trope for many of us. I recently made a poster of this for the high school where I teach. The students won’t know the roots, but they’ll get the power, God willing. Everyone that we came in contact with had a positive impact on our Wabash connection. 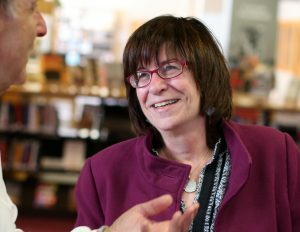 From Cathy VanArsdall, who helped me with finance questions, to Zac’s advisor, Professor Scott Himsel, to Dean Marc Welch and Administrative Assistant Sherry Ross. I could not think of a better place for him to spend his four years. 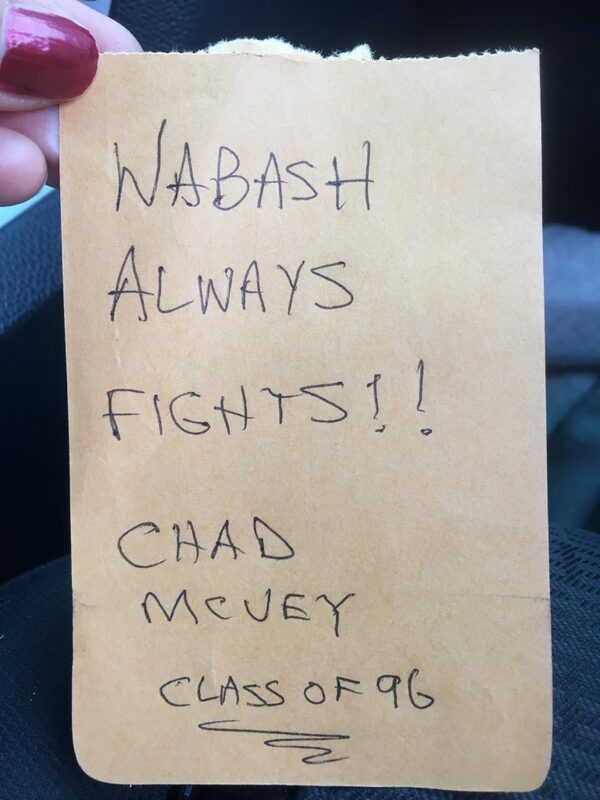 With our Wabash license plates, we often come back to find friendly “Wabash Always Fights” notes on our windshield. Doc Laubengayer was like a second father to me. He was my advisor and prof in many botany classes. 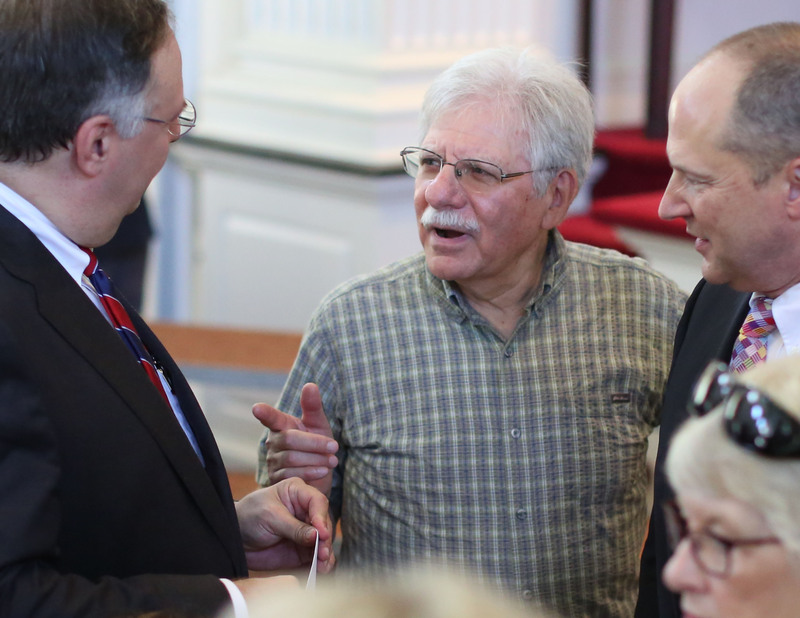 I taught for more than 50 years at Wabash, Eastern Kentucky, and Wittenberg. He was always my model—I wouldn’t have been what I was without his influence. The words of Head Tennis Coach Jason Hutchison still resonate with me. One evening we were riding on the bus to a tennis match and the team was talking about the true meaning of a friendship. Coach chimed in. He said that a true friend is someone who will drop anything they are doing and come and help you if you are in need. I like that. I am not a father yet, but I know I will remember this advice when I become one. I am very grateful for Coach. 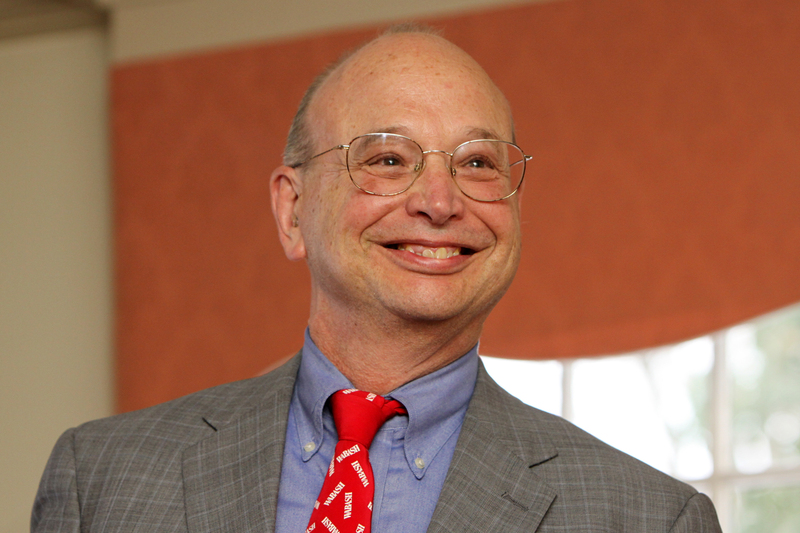 Although I could list, in response to this question, hundreds of members of the Wabash community, I think I have to recognize, above all, now-emeritus English Professor Warren Rosenberg. More than any of my professors, he engaged Wabash College as the men’s college that it is, and made me think deeply and critically about gender, sexuality, and biases conscious and not, allowing me to use this as a prism for closely reading, dissecting, and understanding a text. I was lucky to have him as a teacher, mentor, and role model; I am privileged to have him to this day as my friend. For me, that person is Professor Kay Widdows. As an international student, I didn’t know anybody when I first arrived at Wabash, and Professor Kay Widdows H’07 was great about mentoring me and many other international students. She also taught us how to navigate the alumni network and how to go about looking for that ever-important first job or internship. Adam Miller ’05 of Archon Medical called me after an interview to suggest that I consider analytical careers instead of sales careers. Professor Frank Howland and Career Services Assistant Director Betsy Knott also offered this advice during my sophomore year, but I finally took their advice after the talk with Adam. Jeremy Dee ’97 talked with me about software development during an entrepreneurship summit, and I started teaching myself software development after that conversation. Now I’m a software developer. I met my first girlfriend after an introduction from Andrew Goodman ’12 during a Wabash Homecoming. Rob Shook ’83 connected me to Archon Tech founder Tony Unfried ’03, who is offering me my first professional software development opportunity. And I found my current apartment because Greg Estell ’85 knows Leigh Rudicel, who married a Wabash man and has two sons who attend Wabash. Leigh works with my landlord. One name came to me immediately—Dean Norman Moore H’63. 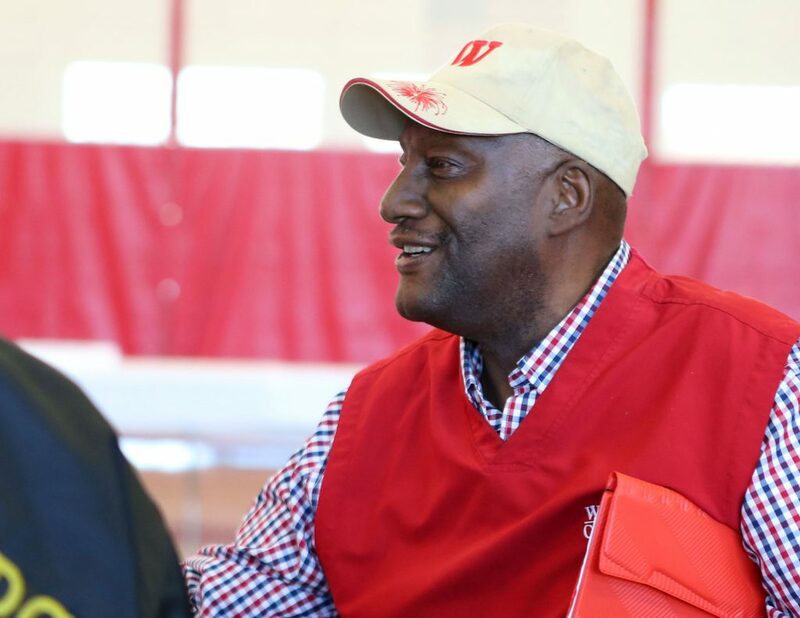 I consider myself lucky to have had so many professors who helped me and shaped my life while I attended Wabash, but Dean Moore had a life-long impact. Everette “Conn” Stewart ’90 was the first person to tell me, early in my freshman year at Wabash, that the Bible wasn’t true. In fact, it was a document produced by the governors of that time to convince the masses to be orderly, he said. Talk about different thinking! I don’t think that ever in my 18 years had someone challenged my faith foundations so profoundly. I had to catch my breath because I had been knocked off of my most fundamental moorings. Questions flashed through my mind like lightning bolts: How could this be? Was Dad wrong about Jesus? What about those years in faith-sponsored elementary and middle school, and every Sunday ever? But within a few moments, other, more reasoned questions came in: Why do I believe this way? Is it reason, practice, faith in things unseen, or all of these? What proof do I have that the Bible is factual? Were my life, my beliefs, or my behaviors wasted if the Bible wasn’t true? Why would my new fellow student make this claim? What are his faith traditions, or what about his life experiences might have caused him to think differently than me? Could there be some truth for both of us? 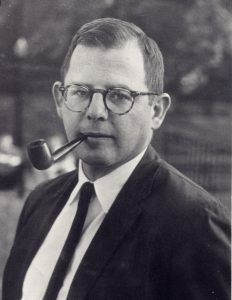 Conn Stewart was one of many Wabash colleagues whom I would call “agitators”—challenging the conventional as a course of habit. I still disagree with this particular claim of his, but that moment, in retrospect, was one of the first times I was challenged to think as a student of the liberal arts. 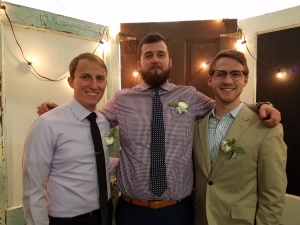 Student, Friend, and Wedding Presider! 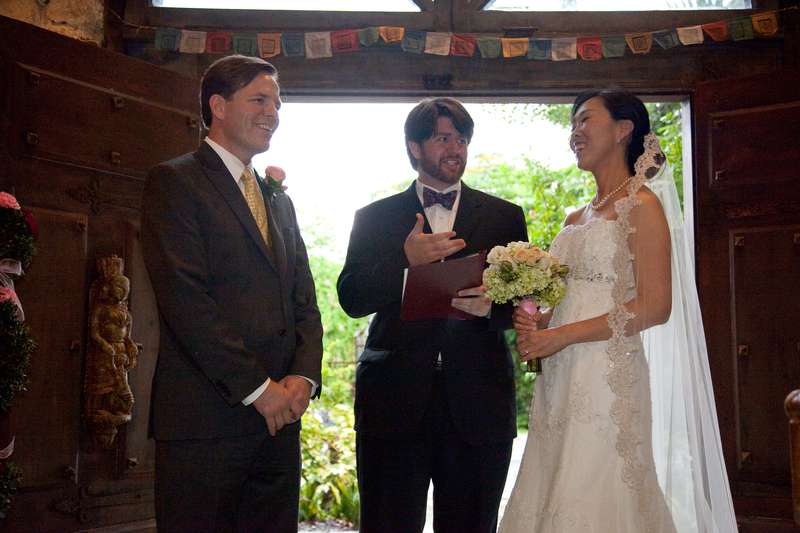 Ross McKinney officiates at the wedding of Professors Hollander and Byun. For [Associate Professor of Economics] Christie Byun and me, the person who had the most impact was a student—Ross McKinney ’09. He presided over our marriage service, and he remains a good friend. I was happy with my first job out of college but was looking for something more challenging and interesting. I reached out to a few local alumni I hadn’t met before, including Joe Motuliak ’05 at ACES energy management in Carmel, IN. We exchanged a few emails before meeting for coffee, and he showed me around the company. I waited for a position to open up, learned as much about the energy industry as I could before applying, and ended up accepting an offer for a trader position. Now I’m happy I can call Joe both a professional mentor and a friend.